Many people are aware that silver is one of the most in demand precious metals in the world. Silver is a very common precious metal that is used to make jewelry, utensils, computers, vehicles, industrial metals and so on. Investing in silver for the long term can potentially be one of the wisest investing moves you make. Silver is one of the most commonly traded precious metals in the commodity market, like gold. It has given many of the enthusiastic investors good returns for their investment in the commodity market. Silver is a very safe precious metal to trade with unlike foreign exchange or other areas in trading. Silver has lower risk factors when compared to many other commodities as well as stocks, and shares. The risk in trading sliver is very low when compared to bonds or ETFs. If you are looking to invest in the market for long term, then there is no better commodity that you can think of than silver. It is not the same as any stock trading business but, is more or less similar to gold, which will always hold it’s value. One of the best ways to gain good profits out of silver trading is to consider it as a long term investment option. Silver is highly volatile like gold and if you are knowledgeable about making the right moves in silver trading at the right times, you will end up pocketing good amounts of profit. You should always invest in silver with a long term bullish attitude. Accumulating silver at regular intervals will help in increasing your wealth insurance and can also serve as a good trading instrument. Investing in silver for the long term is still under the radar and not very popular yet, which is another reason why it’s a good idea to invest now. One of the best ways of making better investments is to buy silver in its physical form. It not only adds on to your wealth over the years, but you will also be experiencing a steady increase in the price of the silver. There is no dearth for availability of physical silver as you can get it in the form of mint coins that are minted by mining companies, or even can get it in the form of fine bullion that is produced by the national governments. 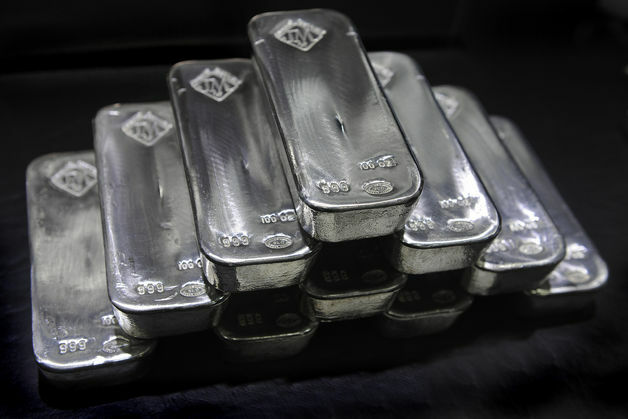 As with investing in silver stocks, when you invest in physical silver you should also keep a long term approach. Silver and gold always go hand in hand and hence you need to keep a tab on the rates of gold every time when you have invested in silver. They both normally trade in harmony and whenever gold prices sky rocket or is increase, the prices of the silver will also be seeing an upward trend, and vice versa. But, the fact is that silver is available in more quantities than gold. There is almost 16 times more silver than gold in the world, and this is the reason why demand for gold is in excess of its supply. Make surer to have a look at the long term gold chart, and check out it’s past to have an idea about it’s future. The following are the advantages that you can enjoy when you are investing in silver for the long term. If you are still pondering as to whether silver is a good investment for the long term or not, then the answer is that it is a really safe and lucrative investment option. It is a really safe investment that will offer you a hedge over inflation as well as adverse economic conditions. The value of silver does not fall with respect to time, so make sure you are investing in silver for the long term.